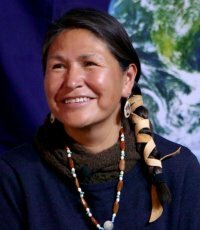 Cheryl Angel is a Sicangu Lakota spiritual activist dedicated to non-violent direct action and environmental justice. Years of activism led Cheryl to Standing Rock in 2016, where she became a community member of Sacred Stone Camp. 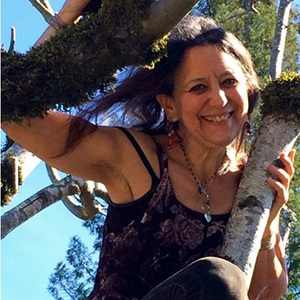 She led prayer and ceremonies during the almost year-long occupation to stop the Dakota Access pipeline from infringing on Native rights, and destroying both fragile cultural treasures and clean water. Now she travels the world to share the message of decolonizing Unci Mahka, or Grandmother Earth and protecting her watersheds.